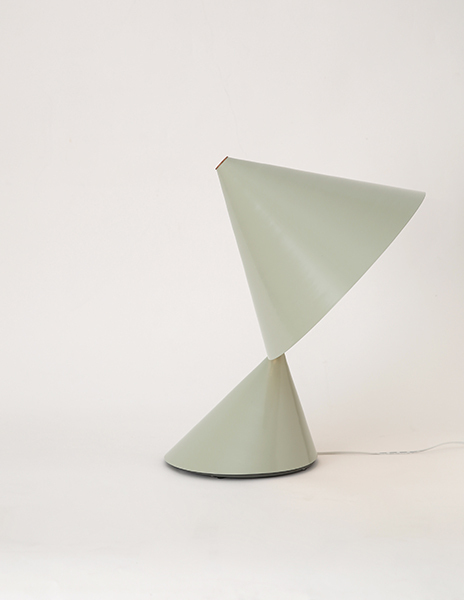 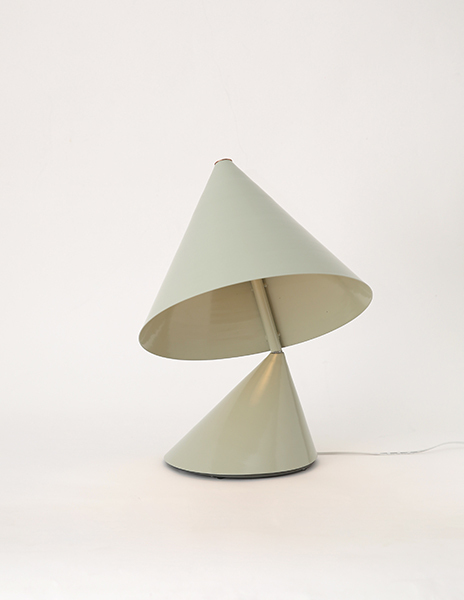 A table lamp with the shade turning all the way around which provides divers gestures of lighting. 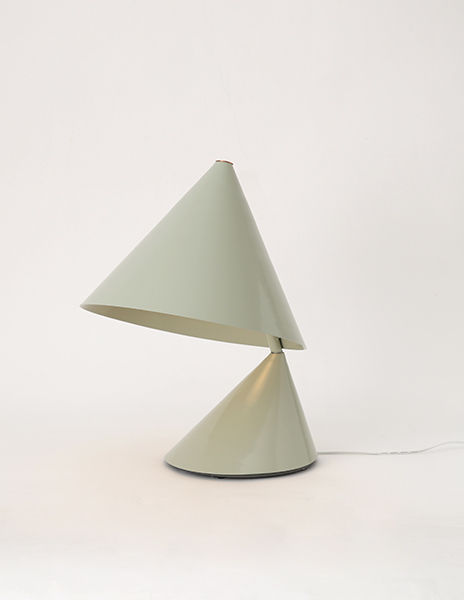 Composition of geometric shape draws form like a creature. And those two cone shapes are from same mold. 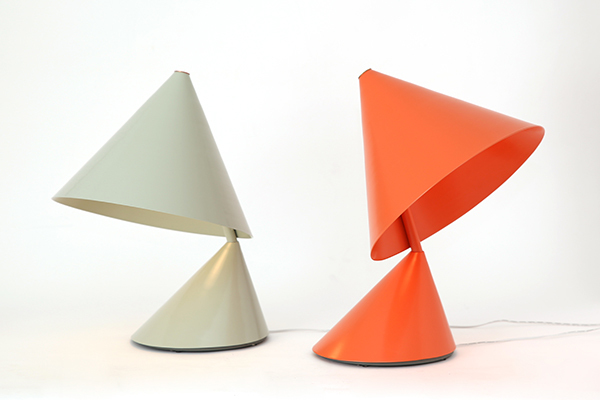 One cone being a stable base and another one being a lampshade.